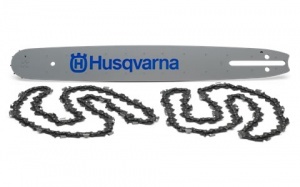 Ideal for a variety of Husqvarna saws, this is a genuine pack from the manufacturer, including a 15 inch bar with two chains, each with a .325" pitch and .058" / 1.5 mm gauge. An ideal replacement guide bar for your STIHL MS 391 chainsaw, this 20 inch Rollomatic E guide bar gives high stability, low weight operation for supreme performance. Thanks to an innovative design the STIHL Rollomatic E guide bars are able to give light weight yet highly stable operation to a variety of STIHL chainsaws. This chain is an 18 inch, genuine STIHL model. A low weight, highly stable guide bar, this genuine Rollomatic E 16 inch model from STIHL is made of three electrically welded metal plates with the middle hollowed out. 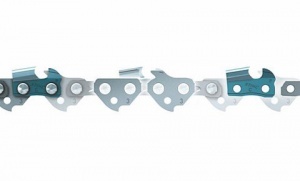 Providing highly stable, lightweight operation from your STIHL chainsaw, this 14 inch Rollomatic E guide bar is a great choice as a genuine STIHL replacement part. Manufactured using three electrically welded metal plates, this genuine STIHL Rollomatic E guide bar benefits from lightweight, stable operation ideal for all round use. 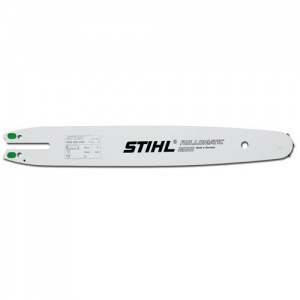 An ideal replacement guide bar for your STIHL chainsaw, the Rollomatic E gives lightweight, highly stable operation and is well suited to a number of models. 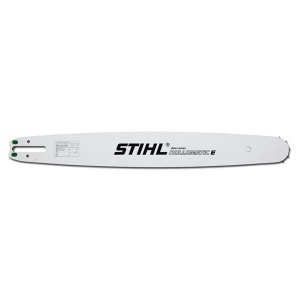 Providing superb weight savings and excellent cutting performance, this 12 inch guide bar from STIHL is a great way to replace a worn or broken guide bar on the MS 170 or MS 171 saws. An ideal part for replacing your damaged or worn saw chain in the Honda SSPP VersaTool pruner attachment, this is a genuine Honda spare. As part of STIHL's Rollomatic E Mini range of guide bars, this is a 14 inch model that boasts a narrow profile, giving excellent weight savings and high cutting performance. A genuine STIHL replacement 10 inch guide bar, the Rollomatic E Mini is a lighter weight solution that also provides great cutting performance in your chainsaw. 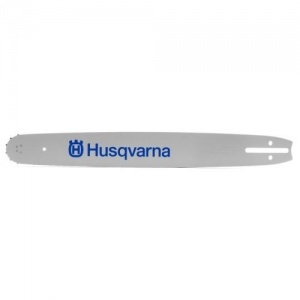 This genuine Husqvarna guide bar is ideal for 14 inch / 35 cm cutting length saws, with a 3/8 inch chain pitch and .050 inch gauge. A high performance chainsaw chain ideal for professional applications, this genuine STIHL Rapid Super 16 inch chain boasts low vibration and chatter as well as smooth cutting performance. 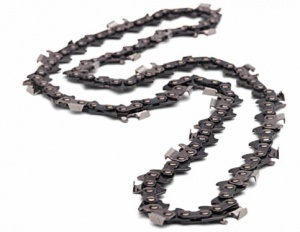 Providing you with low vibration, low chatter and smooth cutting performance, this is a genuine STIHL Rapid Super saw chain with 62 drive links, suitable for a range of 15 and 16 inch saws. A 14 inch saw chain ideal for wood carving or occasional use, STIHL's Picco Micro Mini 3 benefits from low vibration, high quality cutting performance you can rely on.